513 Firetower Road, Elizabeth City, NC.| MLS# 103379 | Outer Banks Homes For Sale, North Carolina Home Search Including Nags Head, Pirates Cove, Manteo, Kill Devil Hills Kitty Hawk, Southern Shores, Duck, and Corolla North Carolina, Oceanfront and Soundfront properties for sale and long term rentals. Beautiful country home on over 4 acres of property. 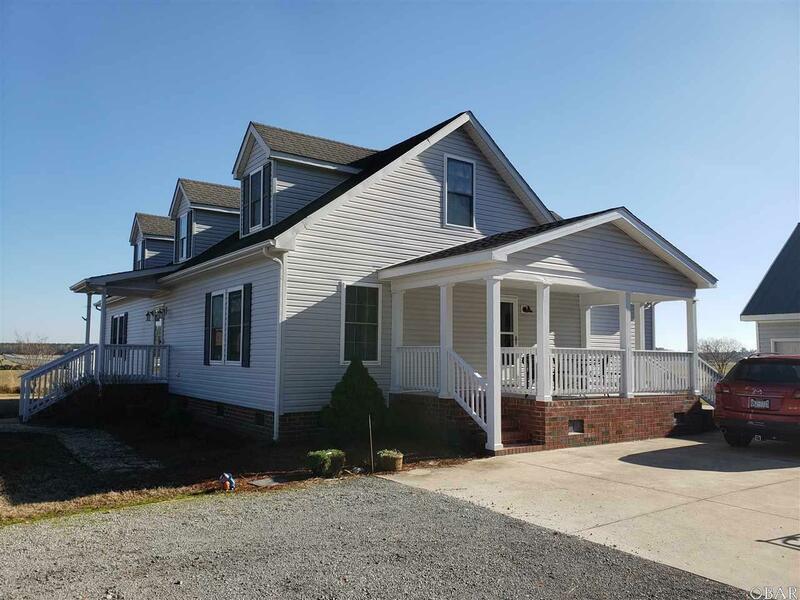 This country home is just outside of Elizabeth City and only a short drive to the Virginia border. Featuring an updated kitchen, dining area, large den and living room, this home offers plenty of room to stretch out. The large first floor Master bedroom and parent's retreat offer the perfect sanctuary to unwind. Upstairs there are three additional bedrooms. From the brand new side porch, enjoy the large backyard with a 32' x 24' detached garage, 24' x 24' workshop, back patio and outdoor pool complete with sundeck.